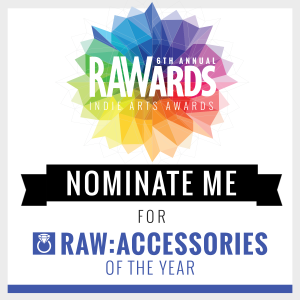 It’s that time of year again….I am going to try for Artist of the Year in accessories . The voting takes place for the next 7 days. I would appreciate your vote. Just click on this link, enter your email address and vote. You may vote one time per email address per day. Thanks for your support.